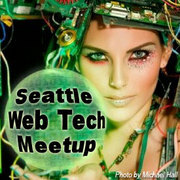 I’ll be one of two speakers at the next Seattle Web Technology Bi-Weekly Meet up on Nov 21 at the Citrus Lounge. They’ve sexed it up a little by calling it a face-off between Windows Azure and Amazon EC2 (no prizes for guessing which side I represent) but really it’s going to be a primer on the Platform-as-a service and Infrastructure-as-a-service models. I expect some lively discussions during Q&A. I’ll be covering questions such as what cloud computing is, what EC2 provides, what is datacenter automation and the differences between a standard datacenter liks Rackspace and Amazon EC2. Meanwhile you folks who’ve large investments in say EXCHANGE servers will be able to pose questions to Marcus Wendt of Composite C1. It’s Amex sponsored and you’ll get a ticket good for a beer or a Citrus signature drink with which you can get cozy and warm up by the fireplace while Marcus and I are beamed through a flat screen with our respective presentations. If you’re in Seattle drop in. I hope to see you or at least, hear you there.